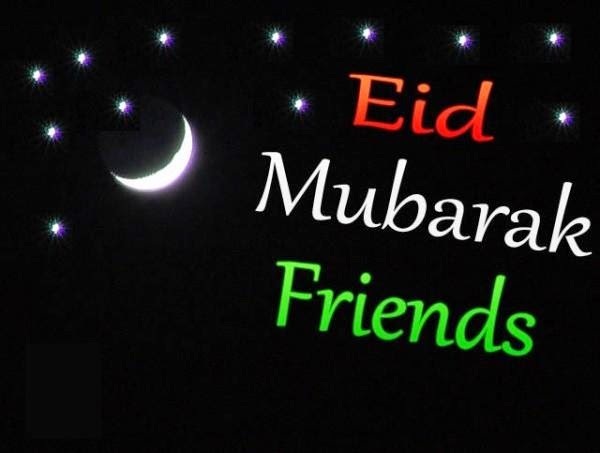 Ehiz Blog: Eid Mubarak friends. Aunty Ehis, why do you say Happy Sallah? we are Christians?!" Whoa..... I was a bit thrown by that question yesterday. I never ever asked myself if I was crossing a spiritual line by extending warm greetings to someone of another faith. Same way I never thought if I was sinning if I was invited for iftar. I tried to find a biblical passage to help me understand what was the the right thing to do. I vaguely recall David being so hungry he ate consecrated shewbread, meant only for the priests. I also recalled Jesus and his disciples so faint with hunger that they harvested ears of corn and ate them directly, incurring the wrath of the Pharisees who accused them of harvesting and breaking the Sabbath. Funny how their thoughts were: we rather you die of hunger and keep the Sabbath today, than to eat and keep the Sabbath for more years!! Then I went to Corinthians where Paul advised us to be careful so our actions do not cause weaker brethren to sin, in the context of food sacrificed to idols. I am not the Bible expert nor scholar, so after the foray into the scriptures, I tried to imagine what Jesus would have done. Would he have woken up in the morning and upon seeing people of another faith, wished them well? Would he understand that they were fasting and try to be patient and caring during the period? At work, would he agree for them to close early so they could rest especially during those 2 hours before the fast is over? would he be careful not to plan unneeded late meetings during the period?. Would he send them a big fruit basket to use to break their fast? would he join them for iftar? My parents are the consummate world travelers. Probably this is what gave them a wide perspective about life. Growing up, we played hosts to muslims, jews, atheists, raving pentecostals, subdued orthodox, strict vegetarians. Yes, vegetarianism is not a religion, but the way they went on about it, you will think it was!!. We had every religious book possible - an enviable assortment of Bibles, the Koran, and there was this colorful book (I cannot recall which eastern religion it was) that taught reincarnation. If you ate too much, you will reincarnate as a pig, if you exposed your self i.e indecent dressing, you will come back as a tree. Having a voracious appetite, I read pretty much everything and anything. And very early on in life, it was clear that the world was not all simple and dandy as we had in little Benin city. People had different views in life, and the challenge will be to live in peace and harmony. In the same vein as my parents, I made friends from every religion as much as possible, and with my stay in Geneva, my friendship circle expanded. I jokingly refer to my time there as the closest I ever was to becoming fluent in Arabic. I was a loner, the Nigerian guinea pig, thrown into the regional HQ, as a test to see if Nigerian local champions could survive outside. Sounds dramatic, but it was true. Luckily, I was 'adopted' by the MEA gang, Lebanese, Egyptians, Saudis, Yemenis, Pakistanis (and the Swiss, the Turks, the Brits and the Scots). They took care of me, much more than I could ever imagine. I was invited to every thing and anything. I think fondly of Amira and her wonderful Konafa. I think fondly of Ovais and his wonderful Pakistani curries. I think fondly of Abdullah, Ahmed, Amr and the countless times they gave me a ride, and walked me to my door, just to make sure I was safe. I think fondly of Sherif, and the infamous spicy rice saga as he put together my Ikea furniture. I think fondly of my trips to Egypt to attend weddings. Those memories fill me with so much warmth and happiness. Having experienced such care and such love, how can I not wish them well? Granted all is not right with the world. Terrorists abound, and innocent people are killed every day. Whether it is in Pakistan, Kenya, Nigeria or Gaza, innocent people, women, children are slaughtered all in the name of religion. It is for sure heart breaking and sometimes you feel so powerless and helpless. But taking it out on others is not going to solve the problem. Instead it continues to breed the hatred and disharmony that these evil spawn of the devil want. And we should not let them succeed. So, as I whisk eggs for breakfast, I think of the fataah rice and bread dish Amira prepared that wintry evening that I enjoyed so much, and I wonder if I can make something as delicious for the hubby today. After all, its Eid Al Fitr! Eid Mubarak friends. I wish you all joy, health, happiness and love. Beautiful write up. Love the question, "what will Jesus do?" And I join you in wishing my Muslim friends "Happy Sallah!" Lovely write up. Balance is very important, and I love the "What Will Jesus Do?" approach... This is one that is sure to help provide balance when one is faced with dicey situations like this. Awwww thank you. Don't worry. I will be sure to wish you "Merry Christmas" in return when the time comes :).